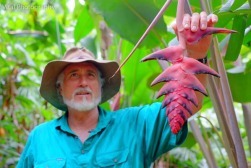 The Feast of the Senses is arguably North Queensland's premier Tropical Food Experience, showcasing the rare and exotic produce of Far North Queensland. 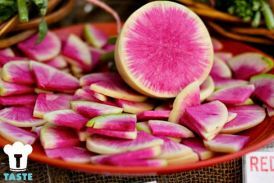 In 2015 the Feast of the Senses Festival will celebrate with a ‘Tropical Fiesta’ theme which will reflect the regions of South America and the West Indies from which much of our tropical produce originated. 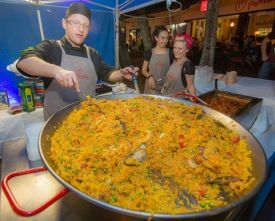 The Festival celebrates a veritable smorgasbord of fine fare including an enviable range of other produce including meat, seafoods, herbs, spices and wine. 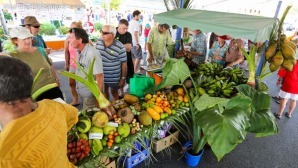 Nowhere else is such a range of produce and cultures found as in this particular region of Tropical North Queensland. The Feast of the Senses is a significant community festival in the region and involves some 10,000 people over the course of the nine days. Market Day will be in Edith and Rankin Sts on Sunday 29 March 2015. Lots of stalls, entertainment and competitions to be had. Undara Experience is set to erupt with the Undara Outback Rock & Blues weekend. With five separate artists and performers over three days, this is a weekend to suit fans of all music genres. 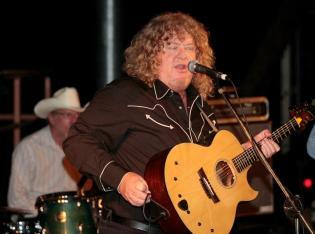 Musicians are sort from local areas as well as interstate to give North Queenslanders the opportunity to experience performers they might not necessarily see without travelling a long distance. 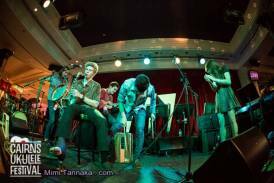 The list of performers in 2015 include: 8 Ball Aitkin, George & Noriko, Sweet Felecia & the Honeytones and Ben Ford-Davies. The Undara Outback Rock & Blues weekend attracts a wide variety of visitors and Undara Experience can accommodate everyone with the many different styles of accommodation on offer. 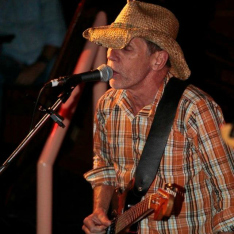 With many guests returning for their 9th year, this event is rapidly growing in popularity -not only is Undara Outback Rock & Blues popular with guests, it is also highly rated among performers too. Accommodation is selling fast and bookings are essential. 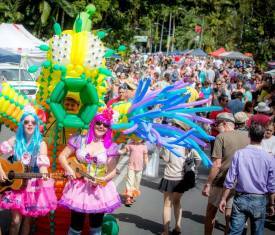 The Port Douglas Carnivale is a celebration of everything that is great about tropical living. For locals it marks the end of the wet season and onset of a change as the beginning of the tourist season arrives. In 2015 this laid back seaside village will come alive celebrating 21 years of the most fun under the tropical sun. Spread over 10 days, Carnivale festivities will include the famous Yabusame (Horse Archery) Tournament hosted on Four Mile Beach, the first ever Australian national Motorised Cooler Scooter Racing Championships, Avenue of the Arts whereby Mowbray Street will be turned into a cultural explosion as local artists and performers showcase their talents. Popular family favourites like the Macrossan Street Parade and the Four Mile Beach Day. Midweek events include golf tournaments, talent quests and fashion and comedy shows. 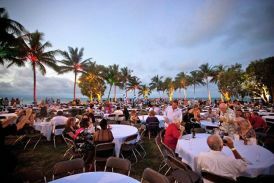 Foodies will love the food and wine events including Club Tropical and the Seafood Extravaganza featuring celebrity chefs performing live on stage with culinary demos and a foodie expo on the iconic Sugar Wharf. 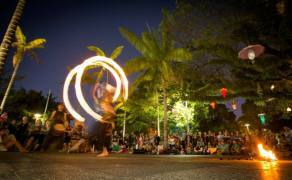 Port Douglas Carnivale attracts over 20,000 visitors, with a vibrant mix of tourists and visitors making the region shine at its very best. 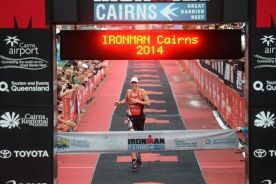 The Cairns Airport Adventure Festival features an event for everyone, including; Flight Centre Active Travel IRONMAN 70.3 Cairns, Coral Coast Triathlon, RRR Mountain Bike Challenge, Great Barrier Reef Ocean Challenge, Quicksilver Reef Swim – Green Island, The Cairns Post Run for Cairns and McDonalds IRONKIDS Cairns – a triathlon designed especially for kids! Held over 8 days, the pinnacle event of the festival is ‘Cairns Airport IRONMAN Cairns’ a gruelling iron-distance triathlon that features a 3.8km swim, a 180km bike leg that travels one of the most scenic coastal roads in Australia towards Port Douglas and a 42.2km run that includes the Cairns Esplanade before finishing in the heart of Cairns. Cairns has become the place to be for ukulele lovers and music lovers alike the first weekend of July. 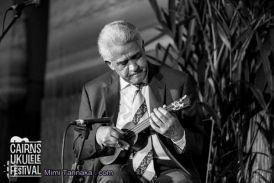 The Cairns Ukulele Festival is an annual multi-day, multi-arts festival that brings people from all over the globe and from all walks of life and ages together to enjoy and make music in the tropics. There are concerts, workshops, tours and even an art exhibition, all featuring the ukulele and the tropical lifestyle associated with the instrument. The festival comprises free and ticketed events with a world-class international line-up. Musical styles range from pop to rock to folk to jazz and blues - yes, all played on the ukulele. Always original, refreshing and eclectic, and known for its friendly, inclusive atmosphere. No matter what musical taste, what age or background, the Cairns Ukulele Festival has something for everyone! 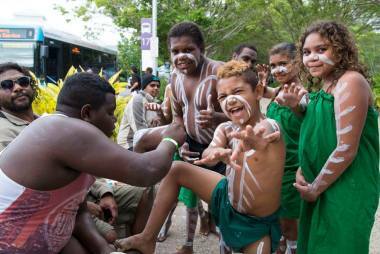 The Cairns Indigenous Art Fair (CIAF) offers an opportunity to experience the beauty and diversity of Indigenous cultures. Held over three days annually in July-August, CIAF is an unparalleled celebration of Aboriginal and Torres Strait Islander art, dance and music. 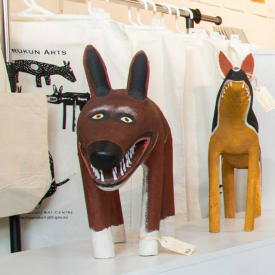 Over the past three years CIAF has emerged as the nation's premier art fair. 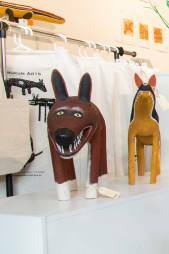 It has given more than 33,500 visitors the chance to immerse themselves in the state's rich diversity of Indigenous art in an ethically sound environment, with both commercial art galleries and Indigenous art centres selling artwork by Queensland born or based Aboriginal and Torres Strait Islander artists. CIAF presents four days of exhibitions, events, performances, festivals, forums and celebrations to Cairns. 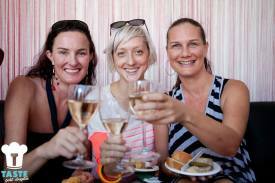 Taste Port Douglas is Far North Queensland's annual premier food, beverage and restaurant event. Long regarded as one of the best holiday destinations in the country, Port Douglas is also considered the culinary highlight of the region, home to a thriving restaurant and food industry. 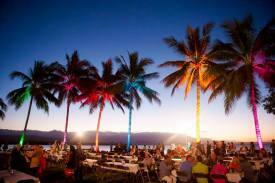 The aim of Taste Port Douglas is to champion the producers, the restaurateurs, chefs and industry trailblazers to a national and ultimately international stage, against the glorious backdrop of tropical paradise. Cairns Festival was founded by the Cairns Regional Council on 26 May, 1961 with the highlight event being the grand opening of a new jetty on Green Island. This was the same time that the first annual Cairns Tourist Festival was established. In 1963 the festival was named 'Fun in the Sun'. The Fun in the Sun name and branding remained in place until the early nineties when it was re-launched as 'Reef Festival' to celebrate the city's gateway access to the Great Barrier Reef and diving industry. Today Cairns Festival is a celebration of our community with an emphasis on showcasing our region amazing local artists and performers. Partnering with some of the city's best live music venues, events include the Buskers Stage – a perfect platform for would-be performers to find an audience, the ever-popular Grand Parade and Carnival on Collins, along with a bigger and even better Fields of Fire. Add to this the Children's Festival, Fluent – a day of youth-based activities ­– a wealth of exhibitions, theatre, dance and comedy. 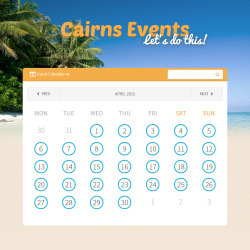 In keeping with the family-friendly program, the vast majority of Festival events are free, making it a truly accessible celebration for everyone in the Cairns region and our visitors. 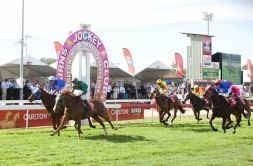 What began as a small meeting in 1959, designed to bring city and country together, has expanded over the years to become one of Australia’s premier spring races. 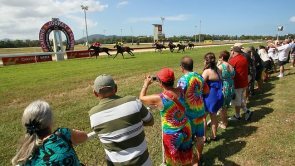 Staged over four huge days, the Cairns Amateurs is complemented by a host of social activities, some formal and some very informal reflecting the tropical lifestyle of a regional community letting its hair down. 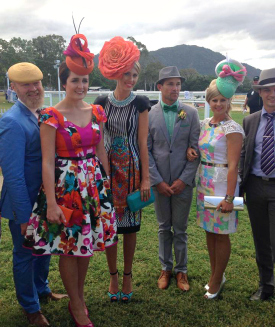 Events include the Cairns Amateurs Ladies Fashion High Tea, The Cairns Amateurs Ball, Fashions on the Field and Cairns Amateurs Garden Party. 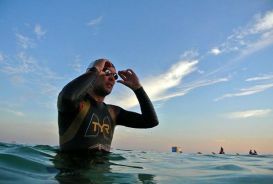 Members-only and corporate functions as well as areas for the general public are available on both race days. Reef Feast is the definitive gourmet food event held in Palm Cove over the course of 12 days.Celebrating the wonderful lifestyle of Tropical North Queensland, our magnificent Great Barrier Reef and its abundant seafood; Reef Feast will showcase the diversity of our tropical and native produce. Experience exclusive wine and produce dinners prepared by some of Tropical North Queensland’s most creative and imaginative chefs. Witness cooking demonstrations, live music, food seminars and a family market day teaming with an incredible array of divine food stalls offering mouth watering delights. 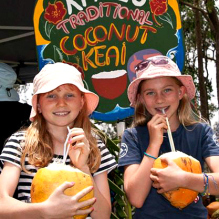 Visitors can stroll amongst the ancient Melaleuca trees of Palm Cove's famous, palm fringed, sandy beach and enjoy the sights, sounds, and flavours of this exciting family event.This feast of the region and its lush tropical bounty is a must for the whole family. 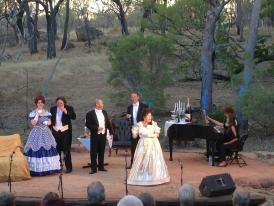 Opera in the Outback 2015 will once again amaze and entertain audiences from North Queensland and beyond with one of the region’s most unique musical events. 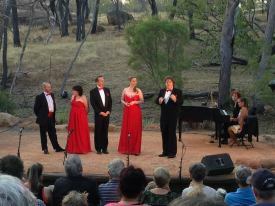 Celebrating 15 years at Undara Experience, Opera in the Outback brings together some of Australia’s most accomplished operatic performers to deliver an unforgettable experience. 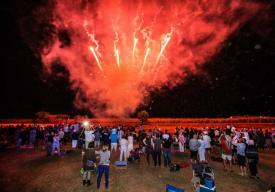 Ooramian Place amphitheater at Undara Experience is the site of this annual iconic event. The Opera in the Outback weekend is held over 3 nights with a different program each night. The Thursday night show is held especially for the people who aren’t yet true opera converts. Showcasing more cabaret style performances and in the past even theatre, the Thursday show is one of the most popular evenings. The Friday and Saturday night are the more traditional opera nights. Bookings are essential. 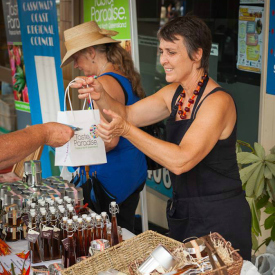 The Tastes of the Tablelands Festival showcases a full food experience from the land to the table.Farmers from across the region will be selling their produce on the day allowing visitors to see fresh produce at its best. Visitors are encouraged to come dressed for a garden party as there will be lots of shade, non-stop entertainment, gourmet food and cool drinks to while away the day. 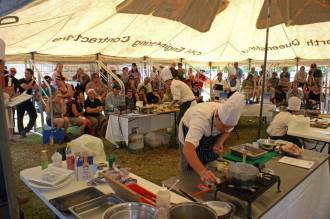 The Super Chefs Competition in the Cooking Tent will be the place to see this fresh produce turned into delicious meals by chefs of our region. 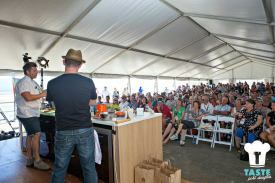 In this area chefs from the region as well as apprentice chefs will cook it out to become the champion chef of the day. This competition runs all day and should not be missed. This great festival will show its visitors how diverse the Tableland region is and what wonderful products can come from one region. The festival will also be a great place to relax, enjoy the local entertainment, sip on a glass of local wine (the site is licensed) and enjoy a lazy lunch. Children will also have exciting things to see and do on the day as there is a special area set aside for children who come to the festival.